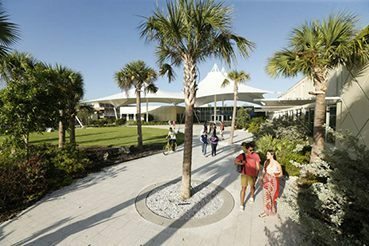 Financial aid and scholarships are available through an ambitious financial aid program that benefits about 96% of Eckerd students. Approximately $48 million in financial aid was awarded last year. Assistance packages may include a combination of scholarships, grants, work aid, and loans. The average award last year from all sources was $36,000 and the range was from $5,500 to $47,000. To be considered for all available financial aid, students must apply for financial aid by completing the Free Application for Federal Financial Student Aid (FAFSA). The Office of Financial Aid reviews the results and notifies students of their financial aid award. All awards are made on the assumption that the student will attend Eckerd College as a full time student. Awards may be adjusted for enrollment of less than full time. The financial aid award includes all funds that the student is eligible to receive. Any questions, concerns or appeals of financial aid decisions should be directed to the Office of Financial Aid. The application process for financial aid is simplified at Eckerd College. Students applying for need based funds or student loans only need to complete The Free Application for Federal Student Aid (FAFSA). The easiest way to submit this application is online at www.fafsa.gov. Be certain to request that Eckerd College receives your FAFSA results by listing our institutional code of 001487 on your FAFSA. Your information will usually be sent to Eckerd College within two weeks. Applying for financial aid is FREE. Make sure you go to www.fafsa.gov (fafsa.com is a business, which charges a fee for filing the application). You will need an FSA ID to give you access to Federal Student Aid online systems and serve as your legal signature. Beginning with the 2017-2018 Academic Year, applicants can complete the FAFSA on October 1. The income report will be for the prior, prior tax year. For the 2019-2020 FAFSA, the 2017 income is reported. To simplify the process, we suggest that you use the DATA RETRIEVAL TOOL on the FAFSA, which imports your tax information directly from the IRS. Include all colleges you are considering on your FAFSA. Waiting to apply for aid until after you have been admitted may lessen your chances of receiving aid. Let us decide your eligibility. Some people incorrectly assume that they won’t be eligible, so they do not apply. Let our aid professionals assess what funds you are qualified to receive. Some applications are chosen for verification; check out the Verification tab above for more information. The verification process requires that Eckerd College confirm the information reported on the FAFSA by reviewing the IRS 1040 tax transcript or for you to use the IRS tax retrieval tool on your FAFSA as well as a Verification Worksheet. Eckerd College will notify you if your application is subject to verification. Award notifications may be delayed if verification has not been completed. Financial aid is not automatically renewed. A FAFSA must be completed every year. Read all letters or e-mails from the financial aid office. There may be more information that we need from you or your parents. Not providing this to us may delay the review of your application. The Priority Deadline for FAFSA application is February 1st. Applications are accepted throughout the academic year. However, applications received prior to February 1st will receive maximum consideration for all federal, state and institutional funds. The financial information analyzed from the FAFSA provides a foundation for the equitable treatment of all financial aid applicants. This data is used to calculate your Expected Family Contribution (EFC). Your EFC is subtracted from the annual cost of attendance to determine your financial need. The Central Processor electronically sends this information to Eckerd College. Estimate your EFC. The Office of Financial Aid reviews the results and notifies students of their financial aid award. All awards are made on the assumption that the student will attend Eckerd College as a full time student, at least 12 credit houses a semester. Awards may be adjusted for enrollment of less than full time. The financial aid award includes all funds that the student is eligible to receive. Financial aid, excluding Federal Work Study, is disbursed onto the student’s account in two installments. Disbursements are made after the confirmation of enrollment for the Fall and Spring semester has been concluded. Any questions, concerns or appeals of financial aid decisions should be directed to the Office of Financial Aid at finaid@eckerd.edu. Beginning with the 2013-2014 Academic Year, the Department of Education has introduced customized verification. The verification requirements will differ based upon the category assigned to the applicant when the FAFSA is processed. If your application has been selected, the Office of Financial Aid will inform you of the documents need to be submitted. Since requirements vary depending upon the verification category, the forms will not be posted on our website but will be sent to you. Pell eligible students must submit the required documents no later than 120 days after the student’s last day of enrollment or the deadline published in the Federal Register, which is earlier. Students receiving Federal campus based aid, Federal direct subsidized or unsubsidized loans or state need based aid must provide these documents prior to the last date of attendance during the award year. Verification must be completed before a loan may be certified. Estimated awards are made to Freshmen and Transfer Residential applicants, who will begin attendance in the Autumn Term or Fall Semester. Students, who have not completed verification, will not receive any federal aid disbursements and are not allowed to begin work study employment. Eckerd College requests that required documents be received no later than September 30th, unless the individual has been granted a tax extension. After this date, Federal Pell Grant and Federal campus based financial aid as well as need based state grants will be canceled. The Federal Pell Grant will be reinstated upon the completion of verification. Federal campus based and state need based awards will be reinstated if funds are available. With the exception of Freshmen and Transfer Residential Applicants, no federal or need based financial aid will be awarded to a student until verification has been completed. Federal campus based funds and state need based funds are limited. Funds will not be set aside for applicants who have not completed verification. When a student is chosen for verification after an award has been made, the undisbursed amount of the award will be canceled until verification has been completed. Freshmen and Transfer Residential students, who do not provide the verification documents, will have awards canceled on September 30th. Students will be responsible for any balance due to the college. Upon completing of verification, the Office of Financial Aid will send all corrections to the Central Processing System. Students are not required to make these corrections. Financial aid awards may be renewed based upon academic progress or continued financial need. A FAFSA application is required annually for need based financial aid. Renewable for up to four years. Students must maintain a 2.0 Cumulative Grade Point Average. Renewable for up to 9 semesters. Students must have earned 24 credit hours during the prior year and maintain a 2.0 Cumulative Grade Point Average. Renewable for up to 132 credit hours. A student enrolled full time for the entire academic year must earn at least 24 credit hours and maintain the minimum cumulative GPA of 3.0 for a Florida Academic Scholar Award and 2.75 for the Florida Medallion Award or Florida Gold Seal Vocational Scholars Award. If a student is enrolled part time for any part of the academic year, the student must earn a prorated number of credit hours. Federal funds are renewable if a student is making Satisfactory Academic Progress (SAP). There are two components to Satisfactory Academic Progress, a Quantitative Requirement and a Qualitative Requirement. The requirements for determining satisfactory academic progress for financial aid have changed. These standards will be used in determining Eligibility for financial aid for the 2011-2012 Academic Year. Two components are reviewed: 1) the maximum completion time and 2) the required completion ratio. Maximum Completion Time – Federal regulations allow a student to attempt 150% of the credit hours required to complete the academic program. The average student will meet the graduation requirements by completing 126 credit hours. A student may attempt up to 189 credit hours, including transfer credit hours, to be eligible to receive federal financial aid. 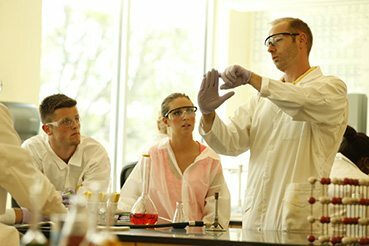 Completion Ratio – A student must earn 67% of the hours attempted at Eckerd College. Transfer hours accepted toward the completion of your Eckerd College degree will be included in the number of attempted and completed hours. At the time of review, an INC (INCOMPLETE), W (WITHDRAWN), Missing, or F Grades will be counted as attempted courses that have not been completed. Courses that are repeated courses are included as both attempted and completed courses and are included in your maximum completion time. You must meet the minimum Cumulative Grade Point Average for your degree level to meet this requirement. The Cumulative Grade Point Average is calculated for courses taken at Eckerd College only and do not include grades from another college. These scholarships may be applied to tuition charges only. Satisfactory Academic Progress is reviewed at the end of the academic year. Students not making satisfactory academic progress will be placed on Financial Aid Probation for the upcoming academic year. The student is not eligible for any federal financial aid while on Financial Aid Probation. After a year of Financial Aid Probation, the student will be reviewed to determine if satisfactory academic progress has been met. If the standards of satisfactory academic progress are met, the student will be eligible for financial aid during the next academic year. What has changed that will allow a student to make Satisfactory Academic Progress during the upcoming academic year. If the appeal is approved, the student’s status will be Federal Financial Aid Probation – Appeal Approved and will be eligible for federal financial aid. If satisfactory academic progress is not attained at the end of this Probationary Period, the student’s Eligibility for federal financial aid will be terminated. A student terminated from federal financial aid must request a review by the Office of Financial Aid to determine if federal financial aid will be reinstated. This can be very confusing, so here are some examples. Example 1: During the 2010-2011 Academic Year, Megan (a freshman) attempted 28 credit hours. She withdrew from one class (3.5 credit hours) during the fall and failed one class (3.5 credit hours) in the spring. For the 2010-2011 Academic Year, she has completed 21 credit hours and has a 1.8 Cumulative GPA. Eligibility – For the 2011-2012 Academic Year, Megan is eligible because she completed 75% of the classes she attempted and had at least a 1.6 Cumulative GPA. Example 2: Steve (a sophomore) has attempted 59 credit hours – 28 in his freshmen year and 31 in his sophomore year. At the end of the 2010-2011 Academic Year, Steve has completed only 30 of the 59 credit hours attempted and has a 3.0 Cumulative GPA. Eligibility – For the 2011-2012 Academic Year, Steve is NOT eligible. Although he has met the minimum cumulative GPA, he has only completed 51% of the credit hours he has attempted. Steve does not appeal. During the 2011-2012 Academic Year, he attempts another 30 credit hours and completes all of them. At the end of the 2011-2012 Academic Year, Steve has completed 60 of the 89 credit hours attempted (67%) and has a 2.75 Cumulative GPA. Steve would regain Eligibility for federal financial aid for the 2012-2013 Academic Year. Example 3: Andrea is a junior. At the end of the 2010-2011 Academic Year, Andrea has completed 50 of the 90 credit hours attempted (55%) with a 1.9 Cumulative GPA. Eligibility – For the 2010-2011 Academic Year, Andrea is NOT eligible. She has not met either the quantitative or the qualitative requirements. Andrea submits an appeal in writing to the Office of Financial Aid explaining why she was not able to meet the satisfactory academic progress requirements and what she will do during the 2011-2012 Academic Year to meet the requirements. Her appeal is approved and she receives financial aid for the 2011-2012 Academic Year. At the end of the 2011-2012 Academic Year, Andrea has completed 60 of the 100 credit hours attempted (60%) and has a 2.0 cumulative GPA. For the 2012-2013 Academic Year, Andrea is not eligible for federal financial aid since she has not completed 67% of the attempted hours. Her Eligibility for federal financial aid has been terminated. If Andrea wishes to receive federal financial aid for the 2013-2014 Academic Year, she must request a review of her progress by the Office of Financial Aid. Students convicted of violating any federal or state drug possession or sale law while enrolled in school and receiving federal financial aid funds were received will become ineligible for Federal Title IV financial aid. Title IV aid includes the Federal Pell Grant, Federal SEOG Grant, Federal Direct Loans, Federal Stafford, PLUS and Perkins Loans and Federal Work-Study programs. If you have answered “YES” to question 23 on the FAFSA, please complete the Student Eligibility Worksheet for Question 23. This worksheet determines your eligibility date for Federal Student Financial Aid. You can become eligible earlier in the school year if you complete an acceptable drug rehabilitation program or pass two unannounced drug tests administered by an acceptable drug rehabilitation program. Should you have any further questions, please feel free to contact the Office of Financial Aid. Eckerd College realizes that unusual circumstances, such as illness, a family crisis or unforeseen problems may result in a student not meeting the renewal requirements for financial aid. Students, who have not met the academic requirements for renewal, may appeal for reinstatement. Appeals based on medical reasons must include documentation from a physician. The purpose of this policy is to prohibit conflicts of interest in situations involving student financial aid and to establish standards of conduct for employees with responsibility for student financial aid. This Policy applies to all employees who work in the Office of Financial Aid and all other College employees who have responsibilities related to education loans or other forms of student financial aid. A. Conflict of Interest: A conflict of interest exists when an employee’s financial interests or other opportunities for personal benefit may compromise, or reasonably appear to compromise, the independence of judgment with which the employee performs his/her responsibilities at the College. In addition to the conditions stated below, employees of the Office of Financial Aid must adhere to Eckerd College’s policy of Conflict of Interest: Eckerd employees should not accept or solicit anything of value that might be perceived as influencing their College employment. Eckerd employees are prohibited from corruptly using or attempting to use their position to obtain a special benefit or privilege for themselves or others. Eckerd employees who participate in the decision making process involving a purchase request or who influence the content of any specification or procurement standard, or who render advice, investigation, or auditing, regarding his/her agency’s contract for services, are prohibited from being employed with the person holding such a contract with Eckerd. 1. Standard materials, activities, or programs on issues related to a loan, default aversion, default prevention, or financial literacy, such as a brochure, a workshop, or training. 2. Training or informational material furnished to the College as an integral part of a training session that is designed to improve the service of a lender, guarantor, or servicer of educational loans to the College, if such training contributes to the professional development of the College’s employees. 3. Favorable terms, conditions, and borrower benefits on an education loan provided to a student employed by the College or an employee who is the parent of a student if such terms, conditions, or benefits are comparable to those provided to all students of the College and are not provided because of the student’s or parent’s employment with the College. 4. Entrance and exit counseling services provided to borrowers to meet the College’s responsibilities for entrance and exit counseling under federal law, so long as the College’s employees are in control of the counseling, and such counseling does not promote the products or services of any specific lender. 5. Philanthropic contributions to an institution from a lender, servicer, or guarantor of education loans that are unrelated to education loans or any contribution from any lender, guarantor, or servicer that is not made in exchange for any advantage related to education loans. 6. State education grants, scholarships, or financial aid funds administered by or on behalf of a State. C. Opportunity pool loan: A private education loan made by a lender to a student attending the College or the family member of such a student that involves a payment, directly or indirectly, by the College of points, premiums, additional interest, or financial support to such lender for the purpose of such lender extending credit to the student or the family. D. Revenue-sharing arrangement: An arrangement between the College and a lender under which (a) a lender provides or issues a loan to students attending the College or to their families; and (b) the College recommends the lender or the loan products of the lender and in exchange, the lender pays a fee or provides other materials benefits, including revenue or profit sharing, to the College or its employees. The College will not enter into any revenue-sharing arrangement with any lender. When participating in the Federal Family Education Loan Program (FFELP), the College will not assign a first-time borrower’s federal loan, through award packaging or other methods, to a particular lender. The College will not refuse to certify, or delay certification of, any federal loan based on the borrower’s selection or a particular lender or guaranty agency. When participating in the Federal Direct Loan Program, the College may assign a first time borrower’s federal loan to the Federal Government as the lender. Under no circumstances will the College assign a student’s private student loan to a particular lender, or refuse to certify or delay certification of any private loan, based upon the borrower’s selection of lender or guaranty agency. The College will not request or accept from any lender any offer of funds to be used for private education loans, including funds for an opportunity pool loan, to students in exchange for the College providing concessions or promises regarding providing the lender with (i) a specified number of federal loans; (ii) a specified federal loan volume; or (iii) a preferred lender arrangement for federal loans. The College will not permit a private educational lender to use the College’s name, emblem, mascot, logo, or any other words, pictures, or symbols associated with the College to imply endorsement of private educational loans by that lender. The College will not request or accept from any lender any assistance with call center staffing or financial aid office staffing. Nothing in this section, however, prevents the College from accepting assistance from a lender related to (i) professional development training for its staff; (ii) providing educational counseling materials, financial literacy materials, or debt management materials to borrowers, provided that such materials disclose to borrowers the identification of any lender that assisted in preparing or providing such materials; or (iii) staffing services on a short-term, nonrecurring basis to assist the College with financial aid-related functions during emergencies, including State-declared or federally declared natural disasters, federally declared national disasters, and other localized disasters and emergencies identified by the Secretary of Education. 1. No employee shall have a conflict of interest with respect to any education loan or other student financial aid for which the employee has responsibility. No employee may accept any gift from a lender, guarantor, or servicer of education loans. A gift to a family member of an employee or to any other individual based on that individual’s relationship with the employee shall be considered a gift to the employee if the gift is given with the knowledge and acquiescence of the employee and the employee has reason to believe the gift was given because of the employee’s position at the College. Token awards from professional associations (state, regional, or national) that recognize professional milestones or extraordinary service to parents and students, or scholarships for conference attendance or other professional development opportunities, may be accepted. No employee shall accept from any lender or affiliate of any lender any fee, payment, or other financial benefit (including the opportunity to purchase stock) as compensation for any type of consulting arrangement or other contract to provide services to a lender or on behalf of a lender relating to education loans. No employee who serves on an advisory board, commission, or group established by a lender, guarantor, or group of lenders or guarantors may receive anything of value from the lender, guarantor, or group of lenders or guarantors in return for that service. Expenses incurred while attending professional association meetings, conferences, or in connection with service on an advisory board, commission, or group described in Section V.D. of this Policy must be paid by the College. Entertainment expenses such as concert or sports tickets or greens fees may not be accepted. Employees are expected to personally pay for such expenses or request reimbursement from the College in accordance with College policy. agencies, or other colleges or universities in the course of business. Meals offered as a part of meetings, conferences, or other events may be accepted if all participants in the meeting or event are offered the meals or if the meals are included as a part of a registration fee. Violations of this Policy may result in disciplinary action, up to and including dismissal. 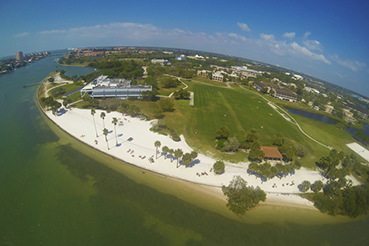 Check out our viewbook for an in-depth look at Eckerd. See how Eckerd students succeed with employers and grad schools.